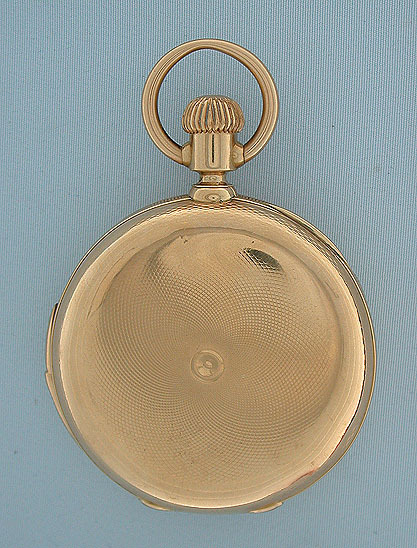 Fine Swiss 18 gold hunting case quarter repeater antique pocket watch circa 1890. 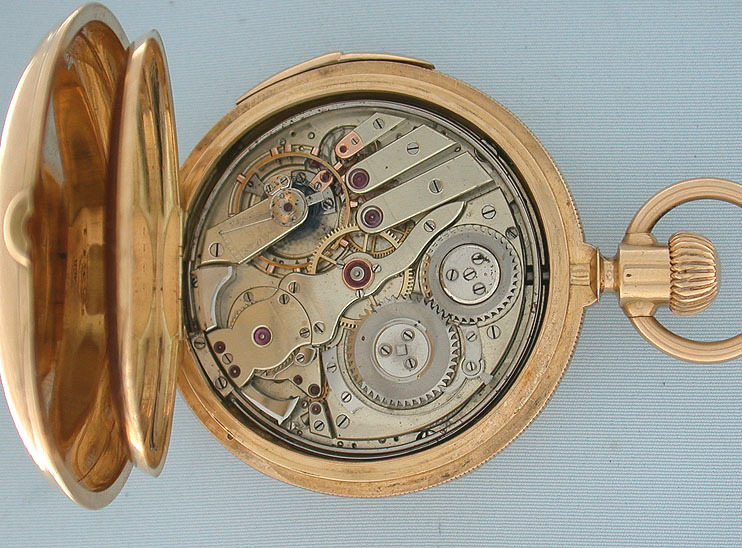 Substantial engine turned case (edge wear) with slide in the band to activate the repeater. 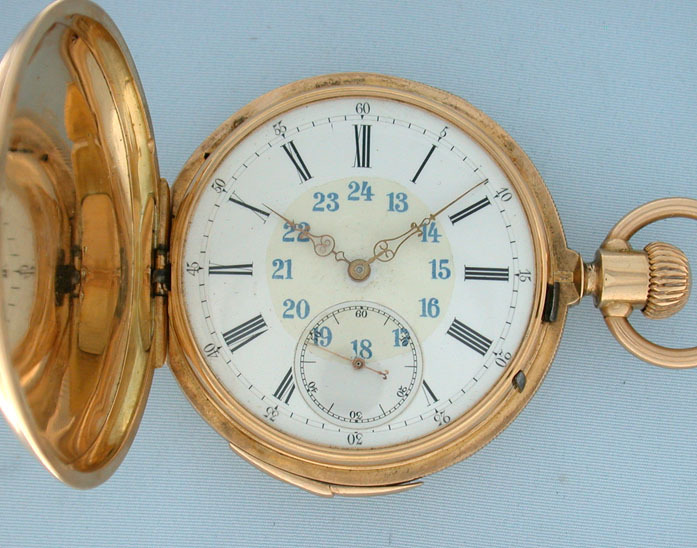 White enamel dial with fancy gold hands and decal (removable) with hours 13 - 24. 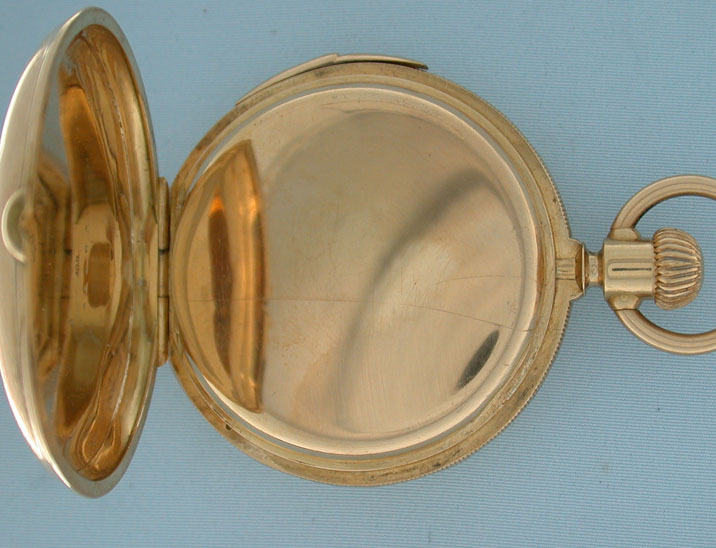 High grade 32 jewel movement with wolf's tooth winding and gold escutcheons. 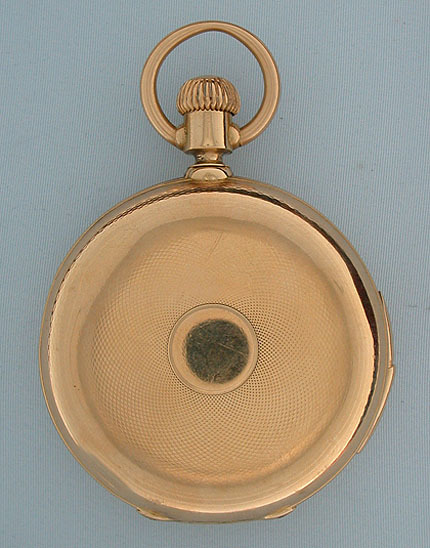 When activated, this watch chimes the time using different chime tones to designate the hours and quarter hours with loud clear tone.